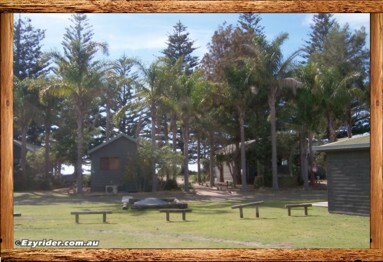 Murramarang Resort & Camping is just north of Batemans Bay at South Durras - set on a beach frontage. 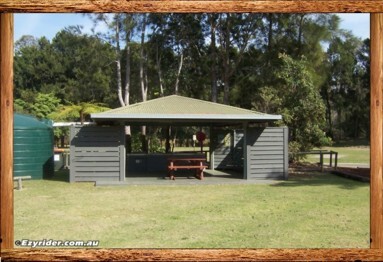 It is an ideal place for camping and caravan sites with a range of cabin accommodation styles also. 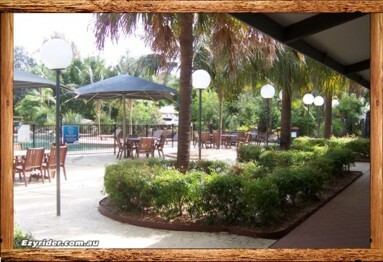 The facilities are clean and modern with a range of amenities. 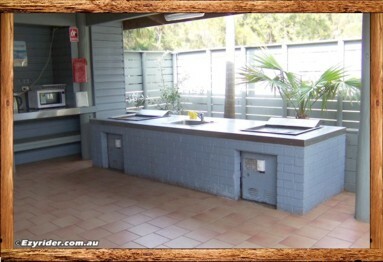 BBQ areas with seating are located within the resort area, with a kitchen that provides fridges, stoves, jugs and toasters. 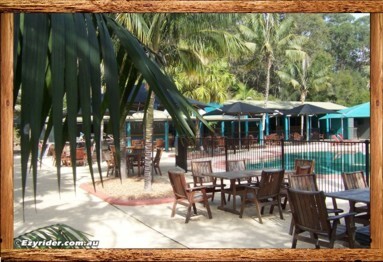 The pool area has BBQ's also, with a shop that provides a range of take away and restaurant type meals. 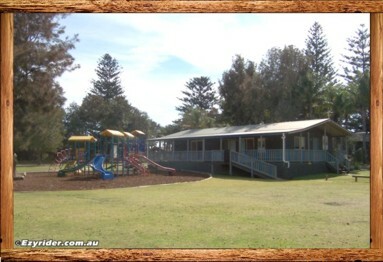 Murramarang provides all facilities and services that cater for all cross sections of society. 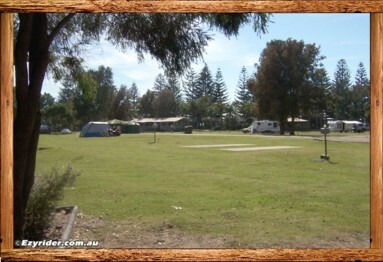 I highly recommend this camping and resort park. 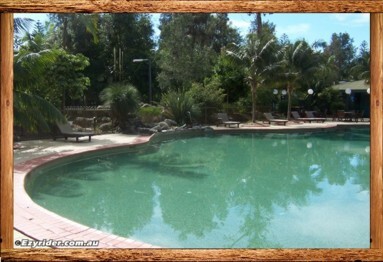 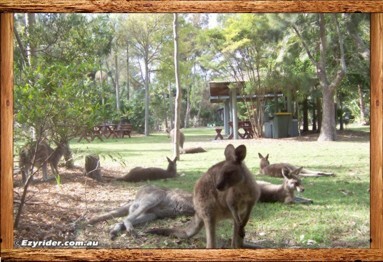 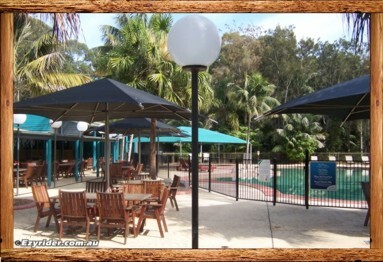 Below are a variety of photo's that show some aspects of Murramarang Resort. 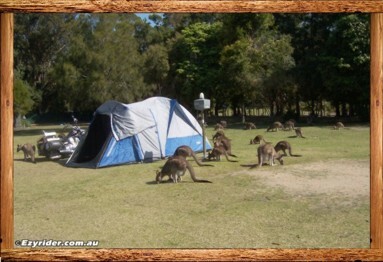 Be prepared to share your camping site with the local wildlife. 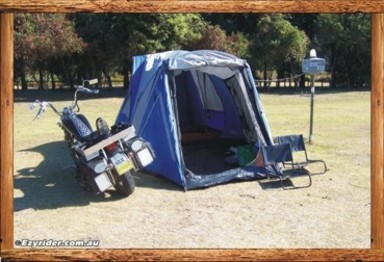 Don't leave your tent open when not there as they will enter and look for food. 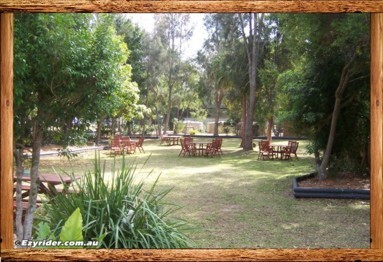 There is a playground and entertainment area plus BBQ and seating covered areas. 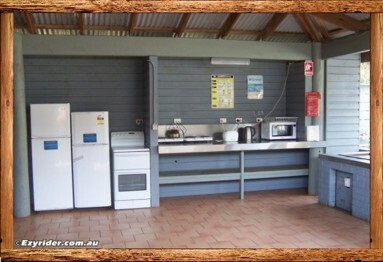 The kitchen area is well equipped with appliances and BBQ's. 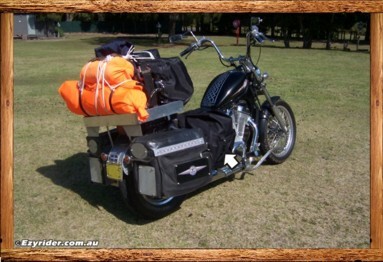 I have left food in the fridge each day and as long as it's marked it doesn't seem to disappear. 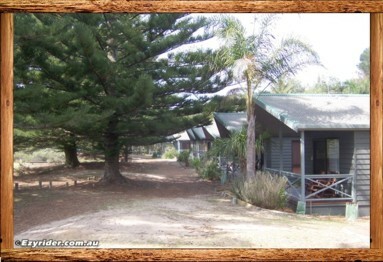 The beach is located on the northern side, with beachfront cabins and walkways. 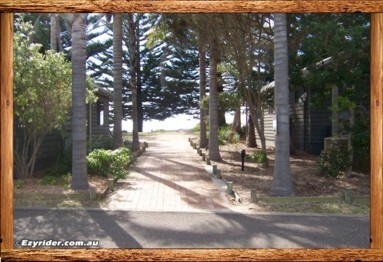 Walkway to the beach and the cabins located along the beach area. 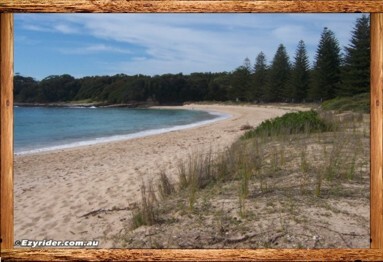 Part of the beach looking east. 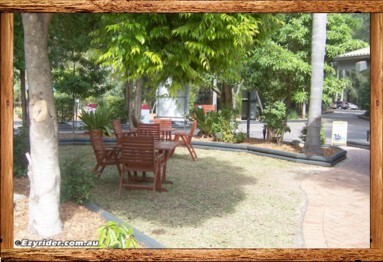 There is different seating set within natural settings. 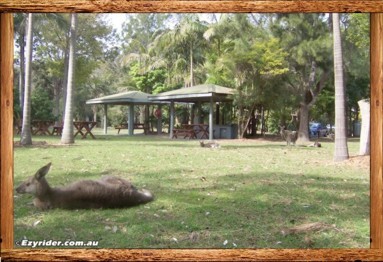 The wildlife near the BBQ and seating areas. 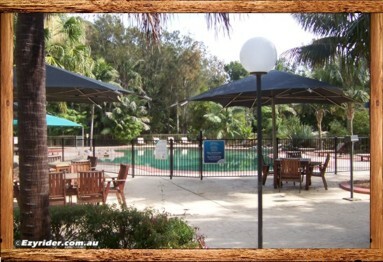 The pool area with seating, umbrellas and a garden setting. 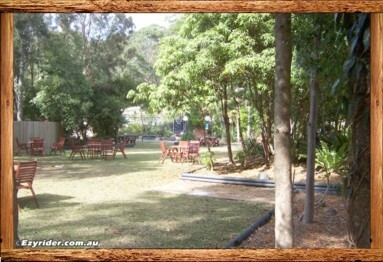 You can purchase a variety of food from this area. 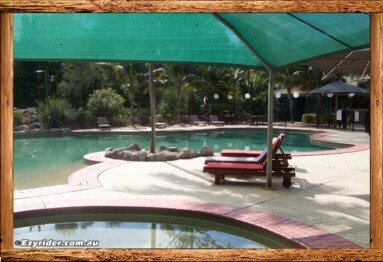 The pool is fairly large with different depths and layback seating within the enclosure. 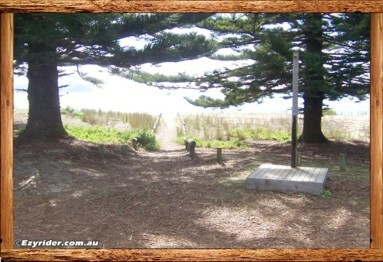 Whatever gear and whichever way you travel to Murramarang the end result will always be relaxing within the natural setting.